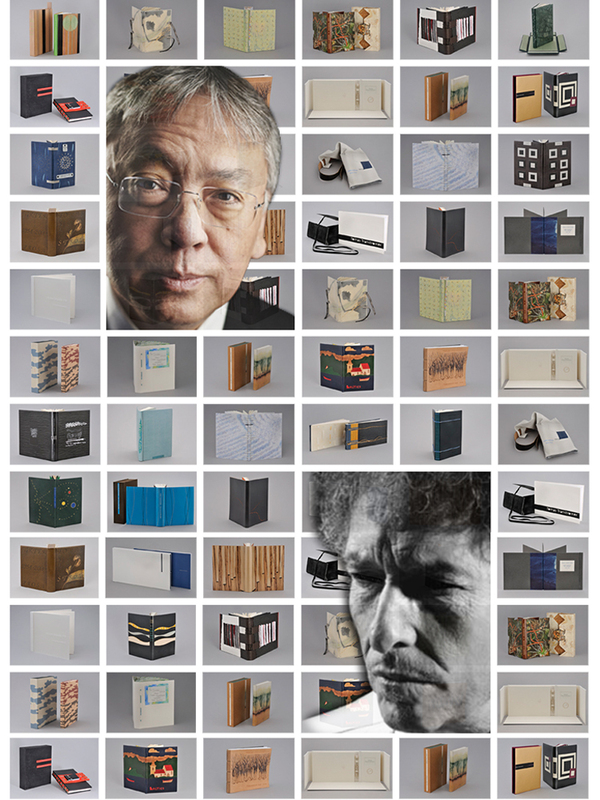 For the tenth year in a row we present a book binding exhibition based upon interpretations of Nobel Prize Laureates in Literature. This year Bob Dylan and Kazuo Ishiguro are in focus. “A recluse without books and ink is already in life a dead man,” Alfred Nobel once wrote. Among his papers is his own attempts at being an author. His writings include poetry and a historical play, Nemesis, which deals with the violent history so often explored in literature of the Italian noble family Cenci in the sixteenth century. Among its characters is Pope Clement VIII. Nathan Söderblom, later archbishop, was so upset by the play’s subject matter that he made sure all copies of it were destroyed. A few copies were overlooked and rediscovered in the early twentieth century. The play had its world premiere in Stockholm in December 2005. Nobel’s poetry has been published in the collection Poems in 2007. At his death, he left behind a library of around 1500 volumes. A large part of these were fiction in their original languages. Among the books were classics by Shakespeare, Goethe and Schiller, but also contemporary literature by Hugo, Tolstoy, Ibsen and Strindberg. 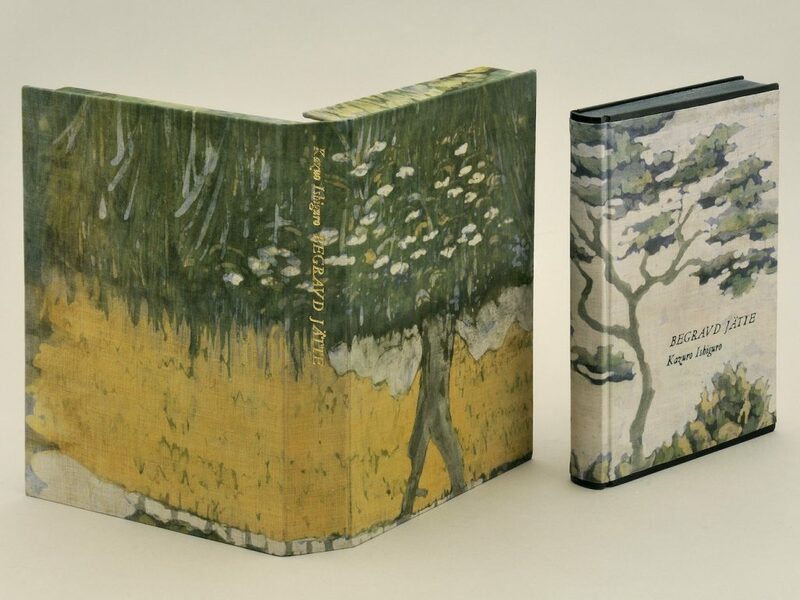 Swedish bookbinders have interpreted Bob Dylan, who received the 2016 Nobel Prize in Literature, and Kazuo Ishiguro, who received the prize in 2017. The exhibition will be on display from November 8–March 3 2019. Anna Celander, Carsten Nilsson, Kristina Enhörning, Smygehamn, Hammenhög, Lund, Sweden. Bob Dylan, Lyrics 1961-2012. Longstich with nylon thread, cover and back in oak with painted wooden carving. Dalia Lopez Madrona, Höganäs, Sweden. Kazuo Ishiguro, Buried Giant. Rubow ribbon with box. Textile, colored leather, batik, color and golden print, head band in leather, cracked cut. This exhibition is a collaboration between the Swedish Bookbinders Guild, the Master Bookbinders Association, and Nobel Prize Museum. We would like to thank the publishers Norstedts and Wahlström & Widstrand and the printing house ScandBook. The bookbinders of 2018 are: Johanna Röjgård, Eva Eriksson, Dalia Lopez Madrona, Kristoffer Carlsson, Carina Stockenberg, Anna Åkerström, Lotta Löwgren, Per-Anders Hübner, Annika Baudry, Ruhi Tyson, Anna-Karin Oleschak, Kristine Novika-Svensson, Lisa Romaeus Bertelman, Anna Celander, Carsten Nilson and Kristina Enhörning. Bob Dylan was born in Duluth, Minnesota in 1941. His original name was Robert Zimmerman and his grandparents were Jewish immigrants from present-day Ukraine and Lithuania. Already at school he formed several bands. After studying at the University of Minnesota, Minneapolis, he moved to New York City in 1961. Since then he has mainly devoted his time to writing and performing lyrics and music. His songs are rooted in the rich tradition of American folk music and are influenced by the poets of modernism and the beatnik movement. His writing is often characterized by refined rhymes and it paints surprising, sometimes surreal imagery. Early on, Dylan’s lyrics incorporated social struggles and protest. He became a reluctant “voice of a generation” with songs such as Blowin’ in the Wind (1963). In 1965 he controversially “went electric”, and subsequently released Bringing it All Back Home (1965), Highway 61 Revisited (1965) and Blonde on Blonde (1966), with more lyrically abstract and introspective writing. Since his debut in 1962, he has repeatedly reinvented his songs and music. He has also written prose, including his memoirs Chronicles (2004). 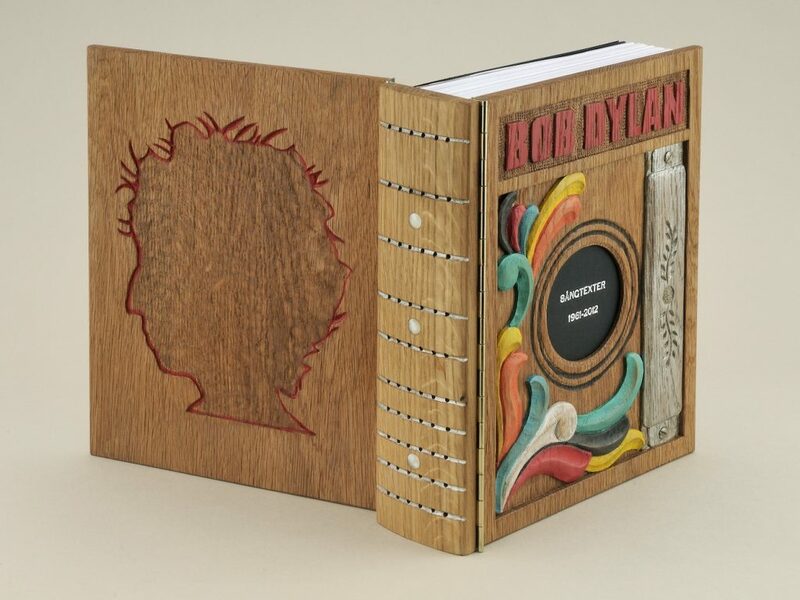 In 2016, a comprehensive volume of Dylan’s lyrics from the beginning of his career to the present day was published. Kazuo Ishiguro was born in Nagasaki, Japan in 1954. When he was five, the family moved to Guildford in Surrey, England, where his father, an oceanographer, had been invited to work at a research institute. In his youth Ishiguro first wanted to become a musician, bu the studied English and philosophy at the University of Kent and then creative writing at the University of East Anglia, where he earned a master’s degree in 1980. Since then he has worked as a writer. Memory, time and lifelong deception are central themes in Kazuo Ishiguro’s works. Growing up in a Japanese family in Great Britain has colored his thinking and perspectives. His first novel, A Pale View of the Hills was published in 1982. Just like the following novel, An Artist of the Floating World, the story was set in Japan. His breakthrough novel was The Remains of the Day (1989), who tells the story about an English butler and his feelings for a housekeeper at the time around World War II. In later works Ishiguro approached genres such as fantasy and science fiction, like in the novel Never Let me Go (2005), where he tells the story of human clones, bred for organ donation. His language is characterized by restraint, even when dramatic events are portrayed and despite describing himself as a writer who puts emotions and relationships first and foremost in his writing.